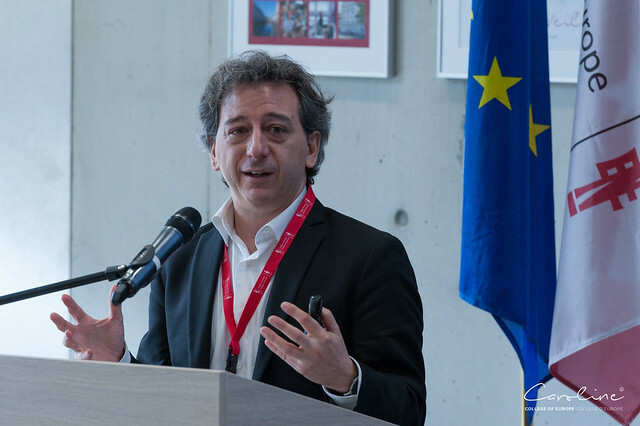 On 10 April 2018, the Google Chair in Digital Innovation at the College of Europe organized the first of a series of annual conferences on Digital Innovation. Digital innovation is permeating a big portion of the economy, reshaping the way we live, work, interact. Two paradigms currently stand out as potentially disruptive: the emergence of Distributed Ledger Technologies (DLTs) such as blockchain, and the increasingly pervasive use of Artificial Intelligence and Machine Learning in a variety of applications, from e-commerce to self-driving cars. Policymakers find it increasingly difficult to keep track of this evolution given the breathtaking pace of innovation, and the challenge of dealing with algorithms, collective intelligence, and often a patchy and uncertain set of legal rules. The College of Europe Chair in Digital Innovation organizes a one-day conference to discuss the challenges and opportunities for innovation in the digital age. What are the key opportunities and challenges of DLTs and Artificial Intelligence? Is Europe competitive in the deployment of these technologies? What new forms of innovation may emerge from the diffusion of these disruptive technologies? Is the EU legal system well-equipped to cope with the peculiarities of these technologies? What can the EU do to harness the potential of DLTs and Artificial Intelligence to strengthen the Single Market and promote better economic, social and environmental outcomes? This conference was open to the public. In addition the conference was also live-streamed on this page. For more information please contact Gil STEIN.